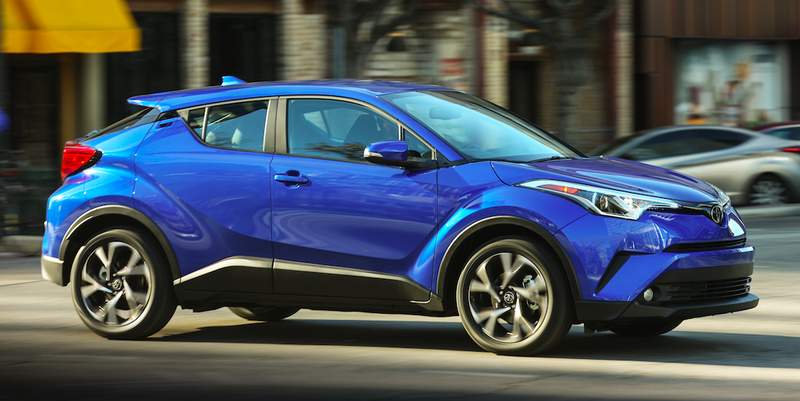 Toyota is recalling roughly seven hundred 2019 Toyota C-HR crossovers because some bolts in the rear suspension could come loose and “cause the rear wheels to detach.” Here’s what’s going on. “There is a possibility that one or more rear axle bearing bolts on some vehicles may not have been tightened sufficiently during the manufacturing process,” Toyota’s press release says. I called up Toyota to make sure I understood what “rear axle bearing bolts” referred to, and the company’s representative confirmed that they are the fasteners that hold the wheel hubs to the rear carrier. Like on many other vehicles, the C-HR’s rear brake rotors and wheels are held onto the car via lug nuts, which thread onto studs pressed into the wheel hubs. Tightening the nuts squeezes the wheels against the brake rotors, which are squeezed against the hubs. That wheel hub onto which each rotor and wheel is fastened is attached to the rear carrier via a number of bolts, which Toyota is now saying may come loose. In the image above, you can follow the dotted lines to see how the various suspension links—which fasten to the vehicle’s body-mounted subframe—bolt up to the carrier. Once the hub bolts pointed out in the image above loosen, the hub—and the wheel/rotor attached to it—could theoretically detach from the carrier, and thus the vehicle itself, though it’s worth mentioning that the brake caliper would probably try to prevent the rotor from moving axially. But in any case, the hub coming loose from the carrier would be very bad news. So if you’ve got a 2019 Toyota C-HR, type your VIN into NHTSA’s website to see if there’s risk that one or both of your rear wheels might fall off. Because that would be bad.